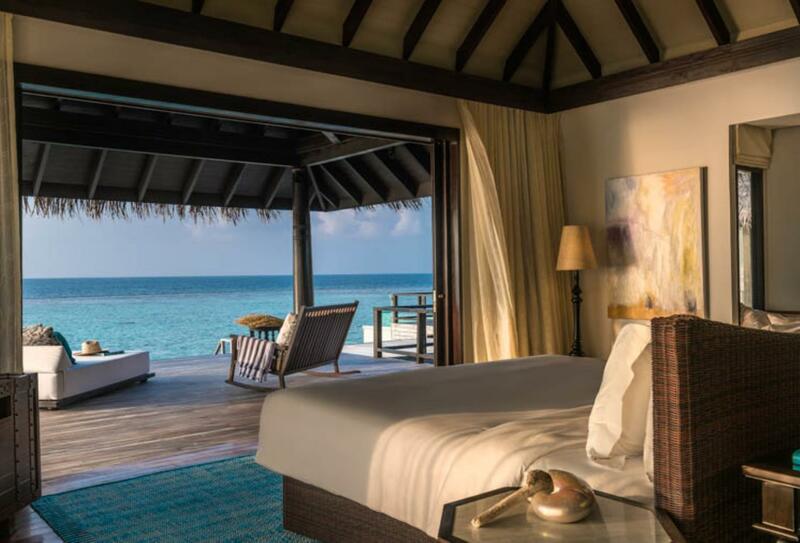 Enjoying a prime location in the Maldives Baa Atoll island archipelago, Anantara Kihavah is on its own island with villas poised over the water or with ocean views. 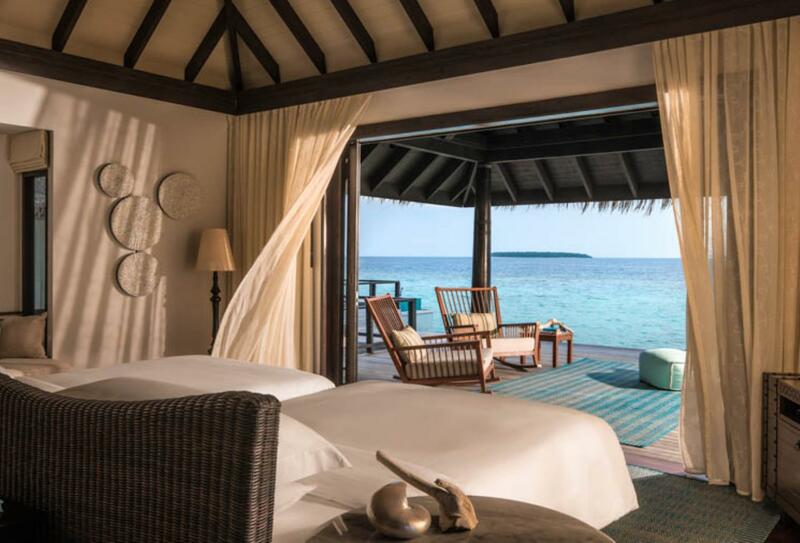 Guests staying at Anantara Kihavah will be pampered by its intimate nature and, in particular, the white sandy beach and the spectacular spa facilities. If you’re more of an adventurer, of course there is plenty to experience here, from diving and snorkelling to kayaking and badminton. Enjoy a host of dining options, with culinary delights from across the world. 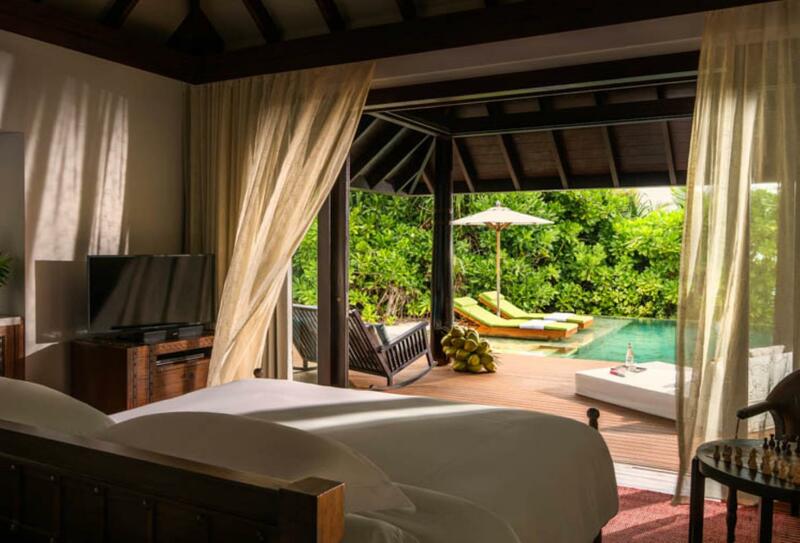 The largest of the accommodations at the hotel, these four bedroom residences feature expansive lounge and dining areas, as well as two infinity pools, daybeds, two dining pavilions and a central pavilion area with a lounge, dining and butler kitchen areas, veranda and shaded sala. 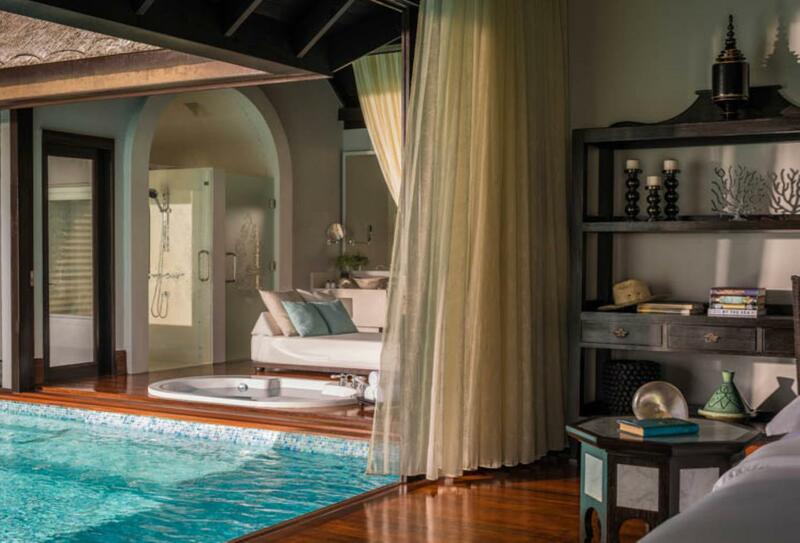 The Sunset Beach Pool Villa boasts a private pool, villa host and a sundeck with a day swing and dining table. Enjoy pool and beach sunbeds and an open-air bathroom. 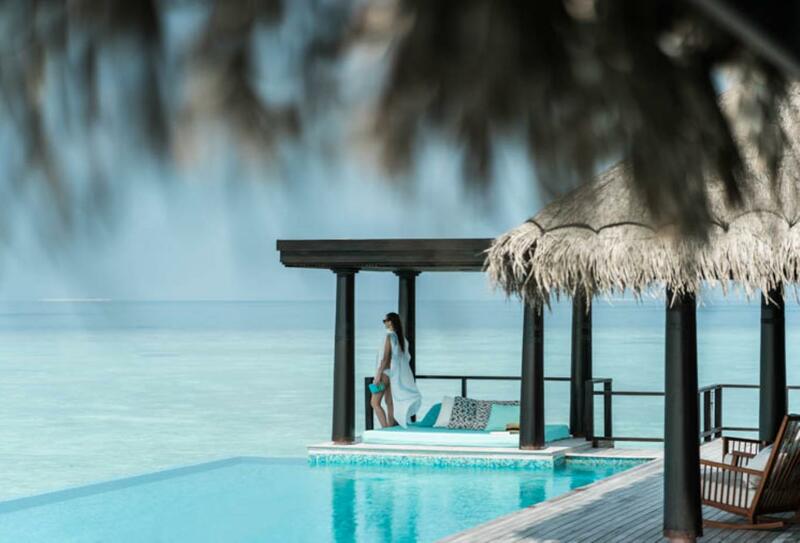 Overlooking the lagoon, these villas offer their own private swimming pool and a dining pavilion. 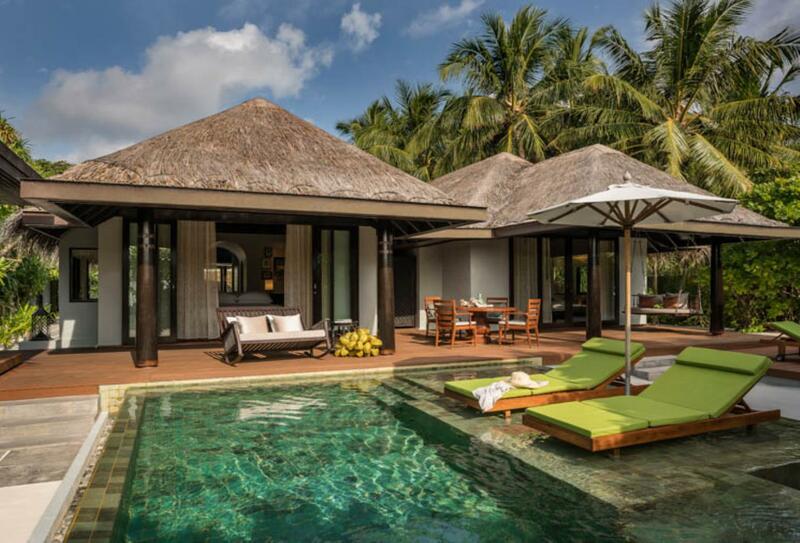 These villas also boast a sundeck, dining pavilion and a villa host. 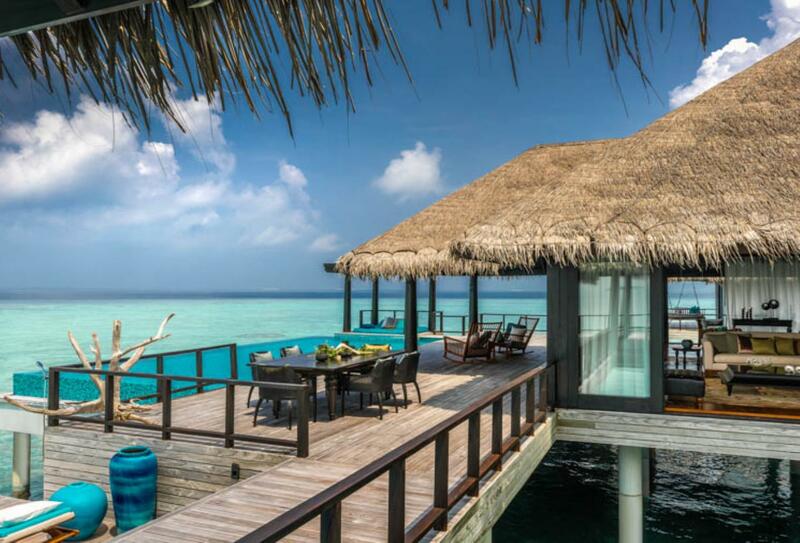 Overwater living at its finest, these villas offer a sundeck with day swing, sun loungers and dining table. 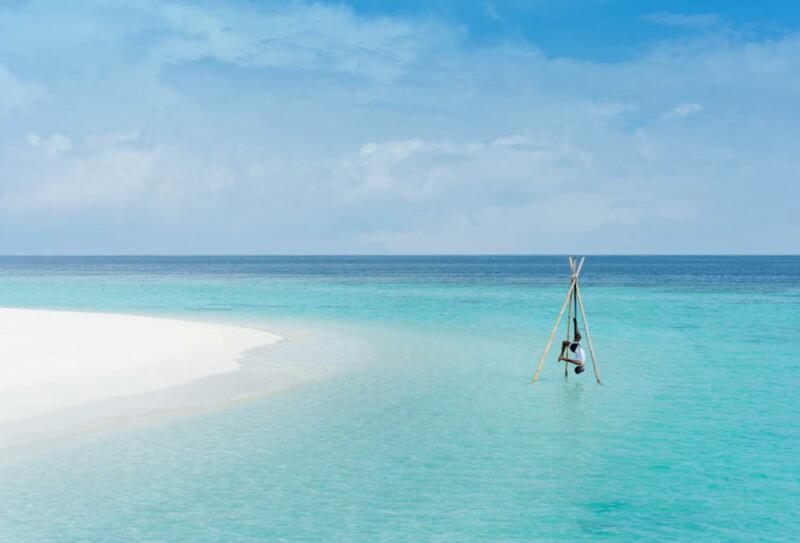 Enjoy a glass bottomed bathtub and an over-water hammock. 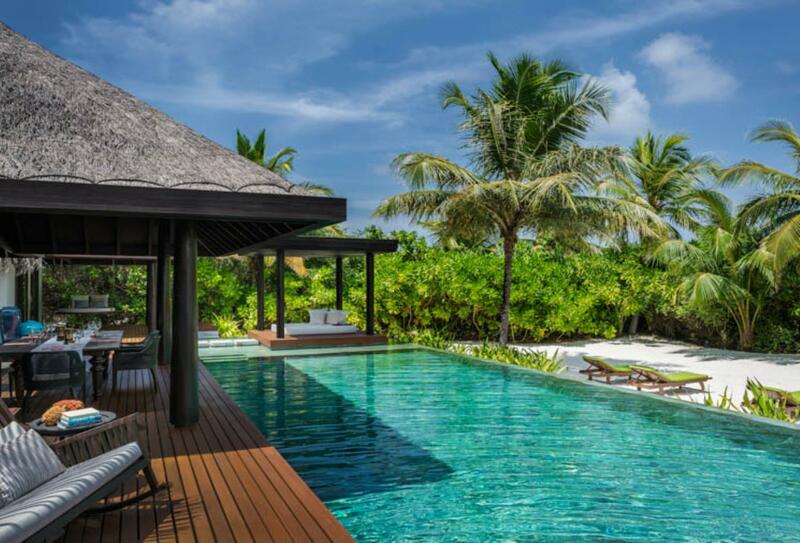 Complete with two bedrooms, the Family Beach Pool Villa offers its own private swimming pool and a sundeck with a daybed. 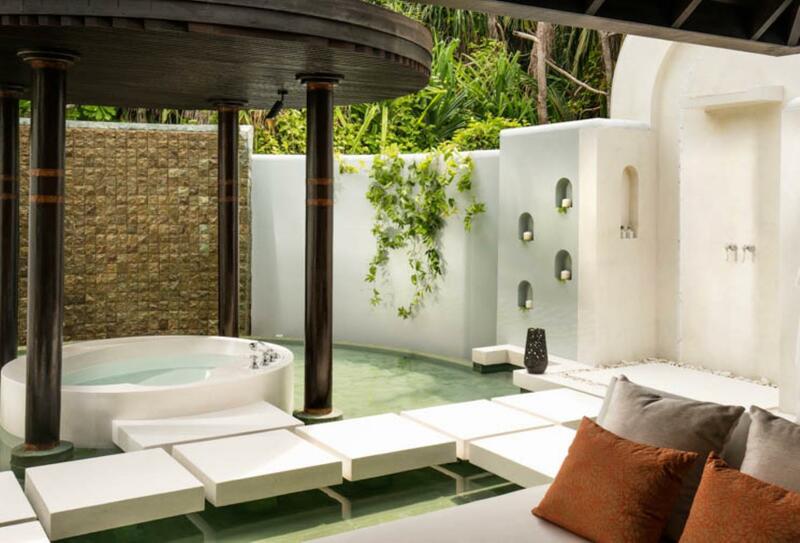 These two bedroom residences feature a private infinity swimming pool, sunbed and a partially open-air bathroom. This two-bedroom residence is furnished with its own private swimming pool and sundeck, a large living room, sundeck and daybed and dining pavilion. 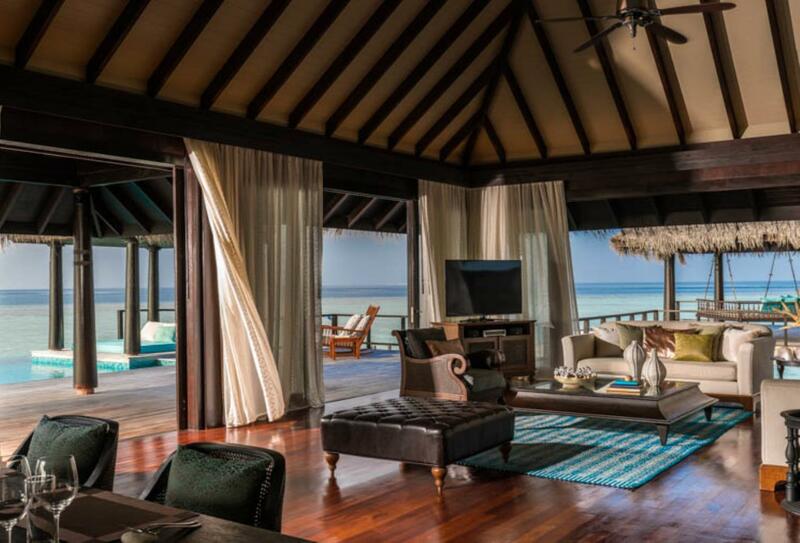 A villa host is on hand to take care of your every need. This expansive residence contains three bedrooms, each with en-suite facilities and expansive indoor and outdoor living space. 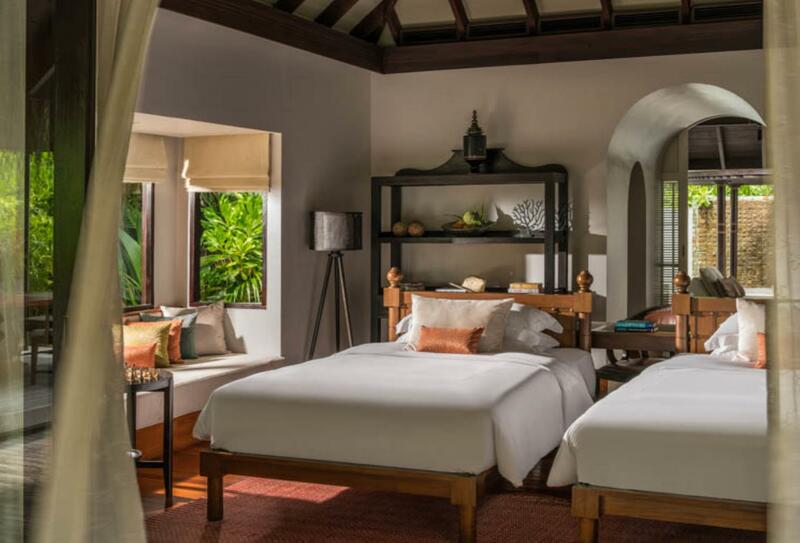 Enjoy a central villa area separated into kitchen areas, covered verandas and expansive gardens that lead to the beach and lagoon. 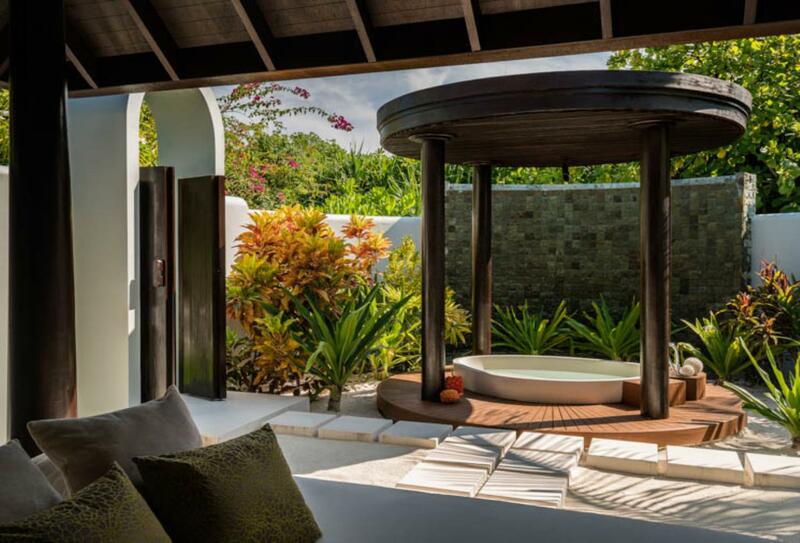 Across a jetty, with 6 over-water treatment suites, the Anantara Spa is a sanctuary of wellbeing. 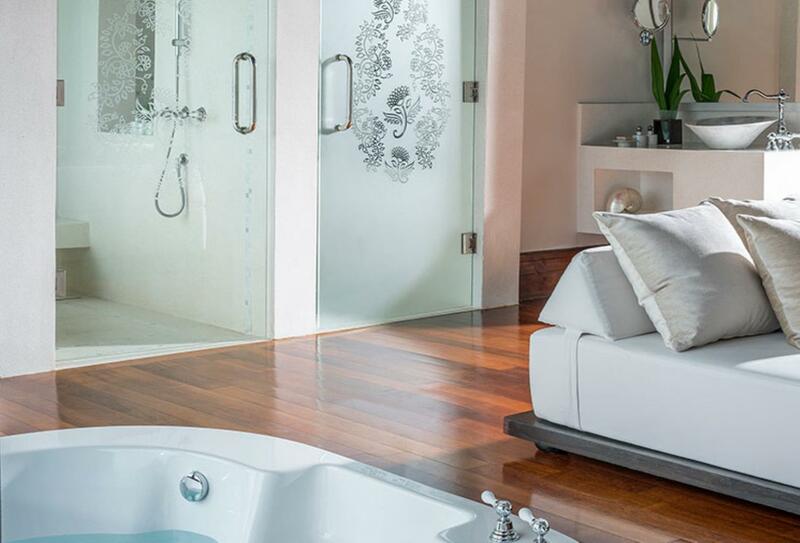 There is an over-water relaxation deck, Jacuzzi and cold plunge pools and a spa boutique. Pick from one of the signature spa experiences available at the hotel, including a comprehensive 180-minute invigorating rejuvenation experience. A refreshing breakfast selection with everything from yoghurts and fruit, to champagne, cheese and eggs. 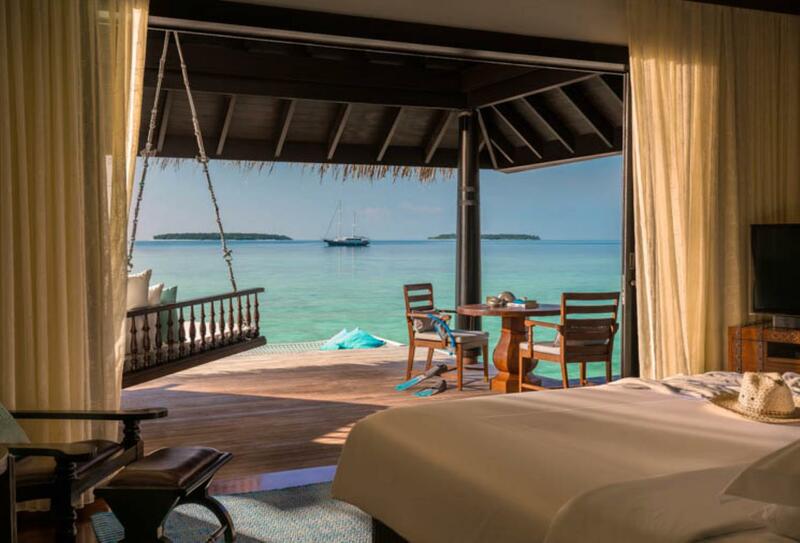 Dinner can also be taken here with a menu of Maldivian seafood. Open for breakfast 07:00 – 10:30 and dinner 19:00 – 22:00. The pool bar and restaurant with one of the longest pools in the Maldives. Dine on Mediterranean salads, pastas and fruit skewers. Pool bar is open 09:00 – 18:00. Open for lunch 12:00 – 17:00 and dinner 19:00 – 22:00. 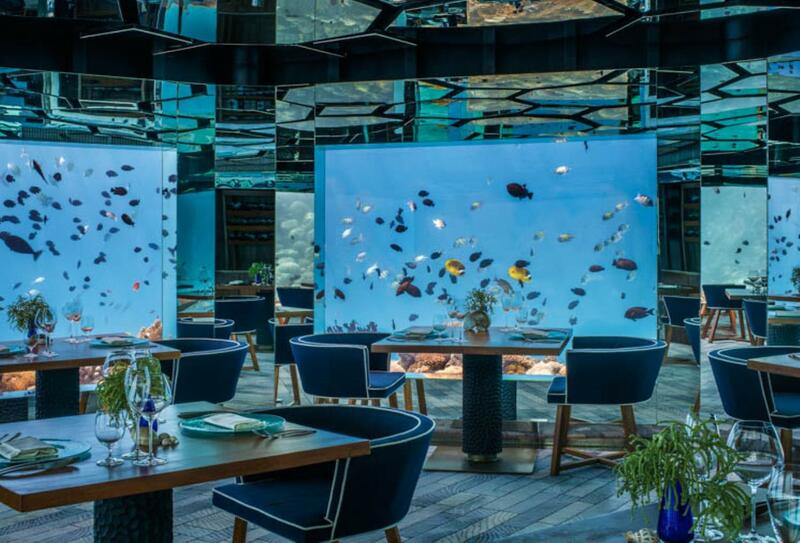 The world’s first underwater wine cellar and one of only a few underwater restaurants. Dine on an international gourmet menu with an eclectic choice of wines. Open for lunch 12:00 – 14:00 and dinner 18:30 – 22:30. A communal, theatrical setting with an abundance of fun. Enjoy Japanese cuisine and menu highlights such as Tajima Wagyu Beef and jumbo prawns. Open for dinner 18:30 – 22:00. Asian inspired food with a range of different flavours. Enjoy the spice of black pepper beef or the sweeter delights of the ultimate spring roll. Open for dinner 18:00 – 22:00. Serving light bites, cool beers and cocktails galore. Open 11:00 – midnight. Indulge in a romantic dining experience with dinner prepared by a personal chef. 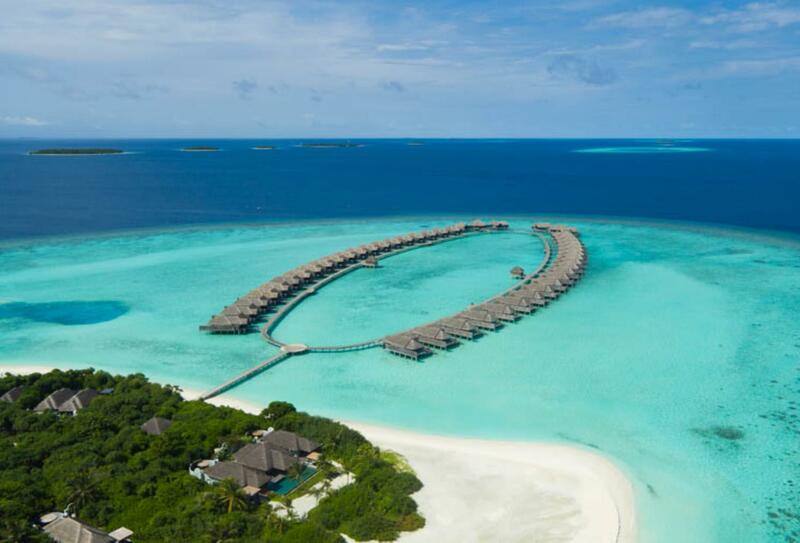 Anantara Kihavah Villas is located on the Baa Atoll, a rough 35 minute sea plane flight from Malé. 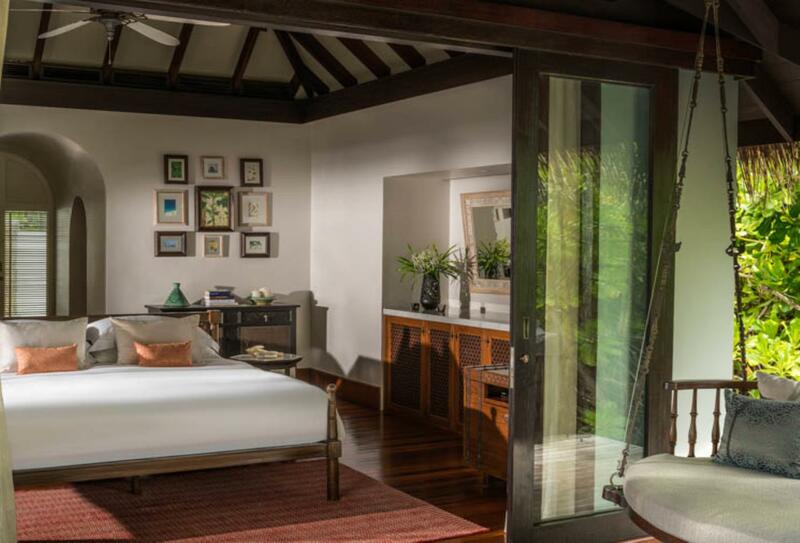 Anantara Kihavah Villas welcomes families with children between the ages of 3 and 12 and offers the following facilities and services to ensure they have an enjoyable stay. • All restaurants feature a delicious children’s menu. 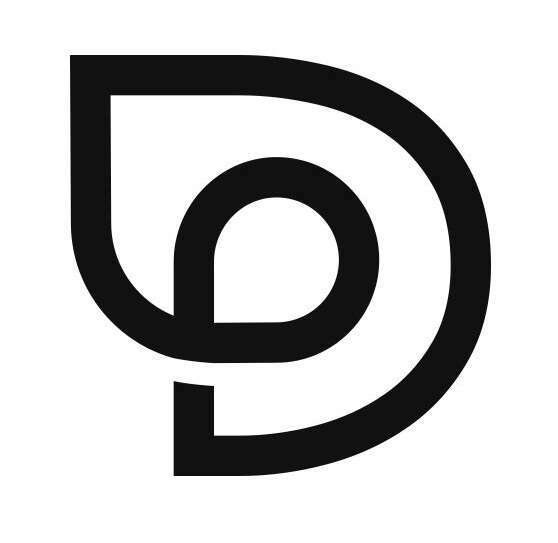 40% Discount & Half Board!